The UN Climate Change’s 'Momentum for Change' initiative recognises some of the most exciting and innovative global examples of solutions to combat climate change, across businesses, governments, institutions and the public. Selected initiatives, called ‘Lighthouse Activities’, demonstrate the unprecedented amount of climate action happening around the world. Each year, winning Lighthouse Activities are celebrated at the United Nations Climate Change Conference. Ahead of this year’s conference, taking place in Bonn on 6-17 November, the 19 winners will be announced and introduced by Patricia Espinosa (UN Climate Change Executive Secretary), Christian Flachsland (Assistant Professor of Climate and Energy Governance, Hertie School of Governance) and Lisa Heemann (Secretary General, United Nations Association of Germany) at the Hertie School of Governance. QUID is an Italy-based, woman-led, eco-fashion social enterprise that addresses climate change, while responding to gender inequality by providing jobs for disadvantaged female workers. This mainly female enterprise (85% of the employees are women) recycles high-quality fabric waste from fashion companies to produce and sell women’s designer clothing collections. These collections are sold through partnerships with fashion companies that believe in QUID’s values and feature QUID’s collections in their stores. As demand and sales have increased, so too has production, which allows the cooperative to employ an increasing number of female workers every year, while recovering a growing amount of otherwise wasted fabric. The increase in fabric that is recycled leads to less textile waste and less energy needed to dispose of that waste. TerraCycle, SUEZ Environment, and Procter & Gamble have collaborated to manufacture the world’s first recyclable shampoo bottle made from beach plastic waste for the shampoo brand Head & Shoulders. The bottle contains 25% plastic recovered from beaches in the UK and France, and has been on shelves in France since this summer with plans to expand. The removal of degrading plastic from waterways and beaches delivers improved health for the fish, birds, animals and humans who rely on the ocean for food. The project also aims to change consumer behaviour through educational messaging on the bottle and product marketing, by encouraging consumers to physically participate in clean-ups and purchasing the product made from the plastic they recovered. In 2012, leading British retailer Marks & Spencer (M&S) became carbon neutral, which was further extended to all M&S operations worldwide in 2014. M&S implemented a strategy, which included reducing emissions, sourcing lower carbon energy, and procuring and retiring high quality carbon offsets. Some of the company’s key achievements in this strategy are: a 23% reduction in emissions through improvements in energy efficiency, gas leakage, and fleet fuel usage; sourcing low carbon energy that resulted in a further 41% reduction of emissions using renewable energy and bio-methane gas; and, an investment in over 2 million tonnes of high quality carbon offsets dating back to 2012. Marks & Spencer also scales its commitment of carbon neutrality to several stakeholders, including their employees, suppliers and financers. The three short presentations will be followed by a panel discussion, moderated by Sarah Marchildon (Momentum for Change Initiative, United Nations Climate Change Secretariat). A light lunch will be served after the event. Christian Flachsland is Assistant Professor of Climate and Energy Governance at the Hertie School of Governance. His research focuses on climate and energy policy options across different levels of governance. Flachsland is also head of the governance working group at the Mercator Research Institute on Global Commons and Climate Change. He was a contributing author to the Fifth Assessment on the Mitigation of Climate Change by the Intergovernmental Panel on Climate Change. 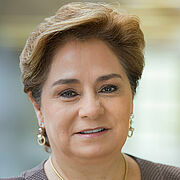 Patricia Espinosa is the Executive Secretary of the United Nations Framework Convention on Climate Change. Ambassador of Mexico to Germany since 2012 and from 2001 to 2002, she was Minister of Foreign Affairs of Mexico from 2006 to 2012, bringing more than 30 years of experience at highest levels in international relations, specialised in climate change, global governance, sustainable development, gender equality, and protection of human rights. Previous Ambassador of Mexico to Austria, Slovakia, Slovenia and UN Organisations in Vienna (2002‐2006), she was Chief of Staff to the Undersecretary of Foreign Affairs, Ministry of Foreign Affairs (1989‐1991) and responsible for economic issues at the Permanent Mission of Mexico to the UN in Geneva (1982‐1988). Lisa Heemann was appointed Secretary General of the United Nations Association of Germany (DGVN) in 2016. 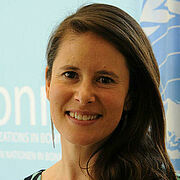 Prior to this she worked with UNHCR in Geneva and Robert Bosch Stiftung in Stuttgart and Berlin. Between 2012 and 2016, she was a researcher on Constitutional Courts in West Africa at the Justus Liebig University of Giessen. She holds a Master in African Studies from Humboldt-Universität Berlin and a PhD in Law from Freie Universität Berlin. 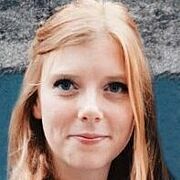 Giulia Houston is Institutional Relations Manager at Progetto QUID. She graduated in Sociology at the University of Trento and then started her career at the Moodart Fashion School in Verona, organising educational courses in Italy and London. in December 2016, Giulia Houston joined QUID. She is engaged in communications and maintaining the company's relations. 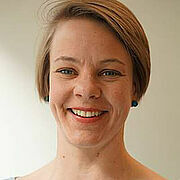 She also co-manages fundraising activities as well as the project's innovation agenda. 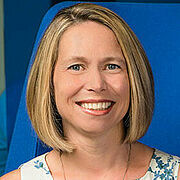 Lisa Jennings is Vice President of Global Head & Shoulders. She has worked at Procter & Gamble for over 20 years in regional and global roles as one of the company’s leading brand builders. In 2013, she became the global leader of the shampoo brand Head & Shoulders, responsible for the brand’s long term vision and innovation. She expanded her responsibilities in 2015 to lead sustainability for Procter & Gamble’s hair care portfolio. 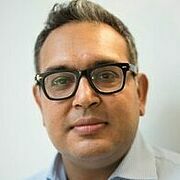 Munish Datta heads the creation of the strategy and delivery of Plan A, Marks & Spencer’s (M&S) sustainability programme, and heads the team that delivers facilities management for all M&S UK head offices. He is an honorary Senior Associate of the University of Cambridge Institute for Sustainability Leadership and a member of the governments ‘Green Construction Board’. He sits on the advisory council of the National Energy Foundation. Sarah Marchildon is the Team Lead of an initiative spearheaded by the United Nations Climate Change secretariat called Momentum for Change, which shines a light on some of the most innovative, scalable and replicable examples of what people are doing to address climate change. Prior to joining the United Nations Climate Change secretariat in 2012, she served as senior climate change communications specialist with the David Suzuki Foundation in Vancouver and worked as a daily newspaper journalist in Canada with a focus on environmental issues. In partnership with the and the United Nations Climate Change Secretariat and the United Nations Association of Germany (DGVN).